My Relationship With Football: I'm Becoming Official! I’ve finally caved and paid the whopping $10 yearly fee to turn my wimpy blogspot address into an official dot-com! SO EXCITING! It won’t be totally converted for a few days, so be prepared! 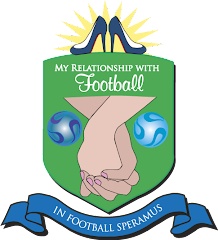 The new address will be: http://www.myrelationshipwithfootball.com (thrilling I know.) So change your bookmarks! I must admit that I’m downright giddy! I’ve also copywrited my site using Creative Commons. It’s a non-profit so it’s really useful to those who want to protect their writing without paying a fortune. I’d also going to take this opportunity to thank everyone who’s been visiting the site and commenting. I love having revisiting readers and it only forces me to write better and take the site seriously. So keep me sharp and keep commenting!